Our tour of Kumasi, the second largest city in Ghana and the capital of the Ashanti Kingdom, began at the Manhyia Palace Museum. The palace was used for 13th, 14th, and 15th kings from the 1920s to 1990s. We learned the history of the kingdom with pictures and human-size dolls displayed in the rooms of the previous kings. We could also see the golden stool of the kingdom. According to the tour guide, the stool was not only the symbol of the authority of the king, but also perceived as the connection to the ancestors. We also visited the Kumasi Central Market, National Culture Center and the Military Museum (former Kumasi Fort). I especially enjoyed the Kumasi Central Market, the largest market in West Africa. Each store was small but there is nothing that is not sold in the market. People skillfully went through the narrow ways, often carrying many things, and as they passed by they shouted “Ago,” which means “watch out” or “excuse me.” We bought a pair of slippers and a box of chocolates there. 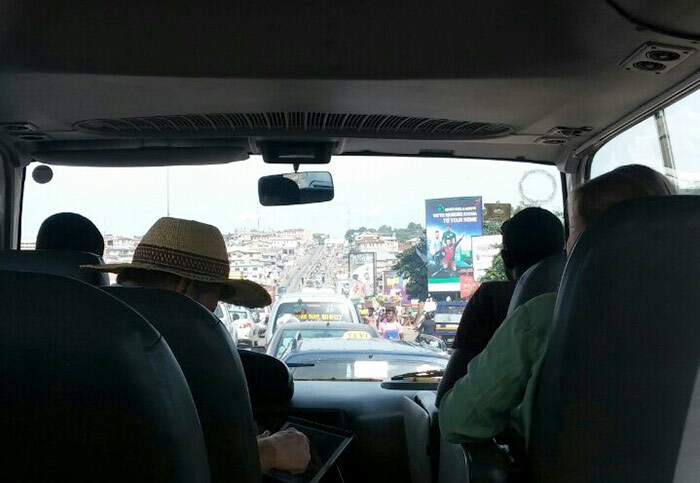 Traffic in Kumasi. 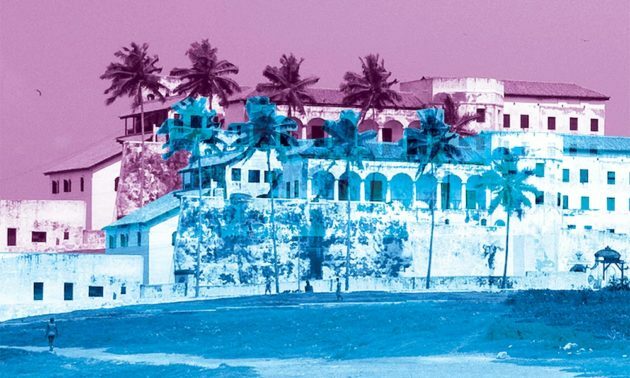 The first impression of the city was that there were many, many people, Seungju Yeo writes. On our way back to Elmina, we went to a Kente cloth craft village. One of the masters in the village showed us the traditional method to get dark ink from tree bark fiber. The ink was used to stamp Adinkra, traditional African symbols, on different colors of cloths. We had an opportunity to make our own Kente cloth with the symbols. One of my friends stamped Duafe and Gye Nyame on hers, which each represents beauty and the omnipotence of God. The trip was short but it was a good opportunity to learn more about the history and culture of Ghana, focused on the Asante Kingdom and Kumasi. Hopefully I will be able to speak with the locals in Twi (Asante dialect) the next time I visit Kumasi. 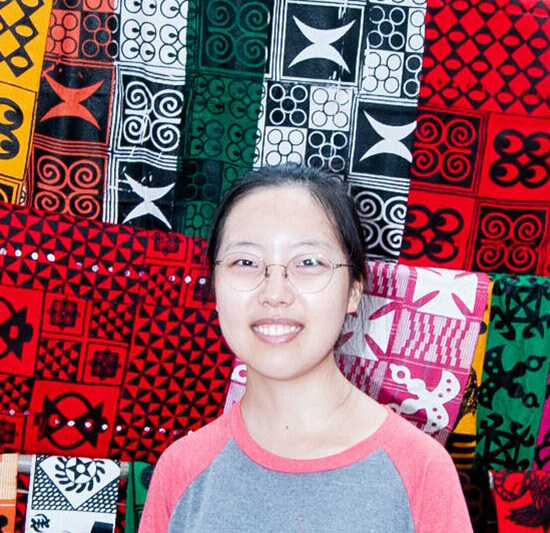 Seungju Yeo ’20 vists Kente cloth makers on her way back to Elmina. Seungju Yeo ’20 is a mechanical engineering major from Seoul, South Korea. She loves the vivid color of Kente clothes. She is interested in different languages and culture.